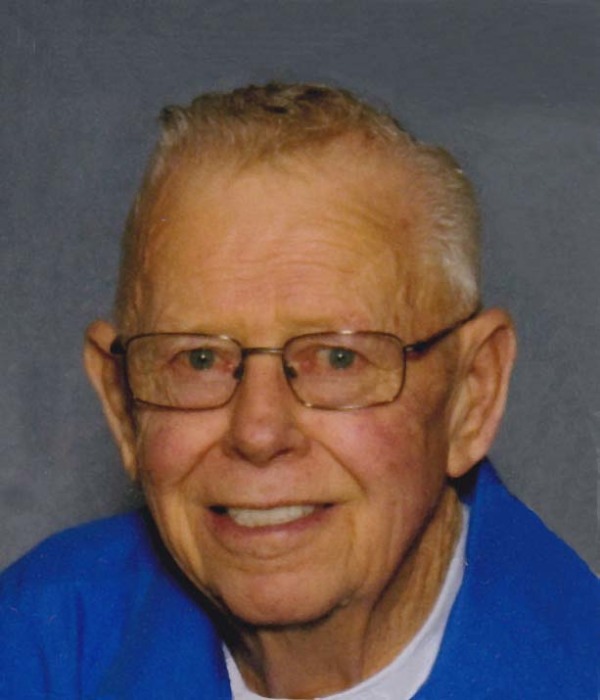 Obituary for John G. Lundy | J. H. Lynner Co.
John Lundy passed away surrounded by his loving family on Saturday, January 27, 2018, at Luther Haven Nursing Home in Montevideo at the age of 81. Funeral services will be held on Thursday, February 1, 2018, at 11:00AM at Clarkfield Lutheran Church with Pastor Jeannie Megorden officiating. Burial will be in the Israel Lutheran Cemetery in Swede Prairie Township of Yellow Medicine County. Visitation with the family will be held on Wednesday, January 31, 2018, from 5-7 PM at Clarkfield Lutheran Church with a prayer service beginning at 6:30PM, and will continue one hour prior to services at the church on Thursday. John Galen Lundy was born April 13, 1936 in Clarkfield, Minnesota to John and Edith (Davidson) Lundy. He was baptized and confirmed at Israel Lutheran Church, where he was a lifelong member until it closed in 2007. He then became a member at the Clarkfield Lutheran Church. John grew up in Swede Prairie Township and attended country school in rural Clarkfield. John married Gwen A. Rasmussen on May 5, 1956 at Israel Lutheran Church. They were blessed with five daughters: Becky, Gail, Nancy, Julie and Kristi. John and Gwen made their home in rural Clarkfield, where they farmed and raised their children. He taught his daughters how to work hard and they were nicknamed the “Lundy Boys.” John continued his passion for farming with his sons-in-law following his retirement in 2000. John enjoyed being in his tractor, working in the fields and driving around in his pick-up checking out the crops. He also liked to have coffee with his friends and talk farming. John and Gwen loved traveling over the years with family and friends and especially liked the Black Hills and Hawaii. John loved spending time with his grandchildren and great-grandchildren, attending birthday parties, watching sporting events and just spending time with them. Three years ago, John developed kidney disease and received dialysis three days a week. John was always a favorite of the nurses, he never complained and made the most of his situation. Family, faith and farming kept his strong desire to live going through all of his challenging health issues. John is survived by his beloved wife Gwen of 61 years and their daughters: Becky (Art) Foster of Blaine, Gail (Jim) Smolley of Clarkfield, Nancy (Al) Dyrdahl of Hazel Run, Julie Rieke of Minneapolis, Kristi (Chad) Husby of Clarkfield; grandchildren: Joy and Jason Viessman, Krystal McGinn, Heather Sannerud, Amber Winter, Jennifer Koepp, Lacey Hempel, Jordan Krogstad, Derek Rieke, Sarah Jenson, Leiah Smolley, Cody, Kelly, Colton and Chelsie Husby; 19 great-grandchildren along with two on the way; brothers: Lowell (Shirley) Lundy and David (Loretta) Lundy; along with a number of in-laws, nieces, nephews, cousins and friends. He was preceded in death by his parents, John and Edith Lundy; brothers: Raymond in infancy, Jaurold, Lloyd, Eugene and Virgil; sisters: Lauraine and Darlene.